Eschew the tourist crowds and head to Point Break and Bau Beach. Change things up with a short trip to Acqua e Sale - Stabilimento Balneare in Maccarese (about 44 minutes away). There's lots more to do: savor the flavors at Food & Drink, contemplate in the serene atmosphere at Basilica di Santa Maria Maggiore, and take a stroll through Trastevere. Take the guesswork out of planning a Rome vacation by using our trip itinerary maker. Nassau, Bahamas to Rome is an approximately 16.5-hour flight. You can also do a combination of flight and train; or do a combination of flight and train. The time zone difference when traveling from Nassau to Rome is 6 hours. Plan for little chillier nights when traveling from Nassau in July since evenings lows in Rome dip to 24°C. Finish up your sightseeing early on the 4th (Thu) so you can travel to Geneva. Step off the beaten path and head to Plage de Port-Choiseul and Franck Ollivier Golf Pro. Go for a jaunt from Geneva to Lutry to see Terres de Lavaux about 1h 20 min away. Spend the 6th (Sat) exploring at Lake Geneva. There's lots more to do: cool off at Bains des Paquis, ponder the design of The Geneva Water Fountain, and don't miss a visit to Place Bourg du Four. To find maps, traveler tips, ratings, and other tourist information, go to the Geneva road trip planning site . Traveling by flight from Rome to Geneva takes 4.5 hours. Alternatively, you can take a train; or drive. Expect slightly colder temperatures when traveling from Rome in July; daily highs in Geneva reach 32°C and lows reach 17°C. Finish up your sightseeing early on the 7th (Sun) so you can catch the train to Paris. 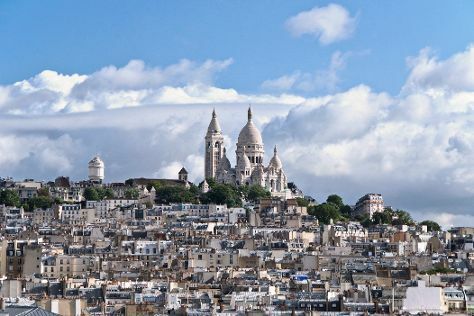 Kick off your visit on the 8th (Mon): step off the mainland to explore Ile Saint-Louis, get a taste of the local shopping with Le Marais, then take in the views from Pont Alexandre III, and finally take a stroll through Montmartre. On the 9th (Tue), you'll have a packed day of sightseeing: test your team's savvy at popular escape rooms, head off the coast to Île de la Cité, then admire the striking features of Sainte-Chapelle, and finally kick back and relax at Paris Plage. To see maps, ratings, where to stay, and more tourist information, use the Paris road trip planner . You can take a train from Geneva to Paris in 3.5 hours. Alternatively, you can fly; or drive. In July, daytime highs in Paris are 30°C, while nighttime lows are 18°C. Finish up your sightseeing early on the 9th (Tue) so you can catch the train to Brussels. On the 10th (Wed), browse the different shops at Les Galeries Royales Saint-Hubert, then get the lay of the land with Walking tours, and then steep yourself in history at St. Michael and St. Gudula Cathedral (Cathedrale St-Michel et Ste-Gudule). Keep things going the next day: appreciate the history behind Manneken Pis, tee off at Golf de Rigenee, and then examine the collection at Atomium. For other places to visit, traveler tips, more things to do, and other tourist information, refer to the Brussels visit planner. Take a train from Paris to Brussels in 1.5 hours. Alternatively, you can fly; or drive. Expect little chillier weather when traveling from Paris in July: highs in Brussels hover around 26°C, while lows dip to 15°C. Finish up your sightseeing early on the 11th (Thu) so you can catch the train to London. You'll discover tucked-away gems like Gustamps and Grays Beach Riverside Park. You'll find plenty of places to visit near London: Brighton (The Lanes & Brighton Beach) and King George's Playing Fields (in Brentwood). There's still lots to do: browse the eclectic array of goods at Camden Market. Traveling by train from Brussels to London takes 2.5 hours. Alternatively, you can fly; or do a combination of car and train. Due to the time zone difference, you'll gain 1 hour traveling from Brussels to London. In July, daily temperatures in London can reach 26°C, while at night they dip to 15°C. Wrap up your sightseeing by early afternoon on the 14th (Sun) to allow enough time to travel back home.